Our proprietary VERSAFORM® process supplies value-added packaging for some of today's premier CPG companies. Our customers have grown to rely on us for exceptional quality, reliability and service, and innovative solutions for packaging. From eye catching graphics to custom, functional lids, Double H will create the cup and lid best suited for your product's needs. 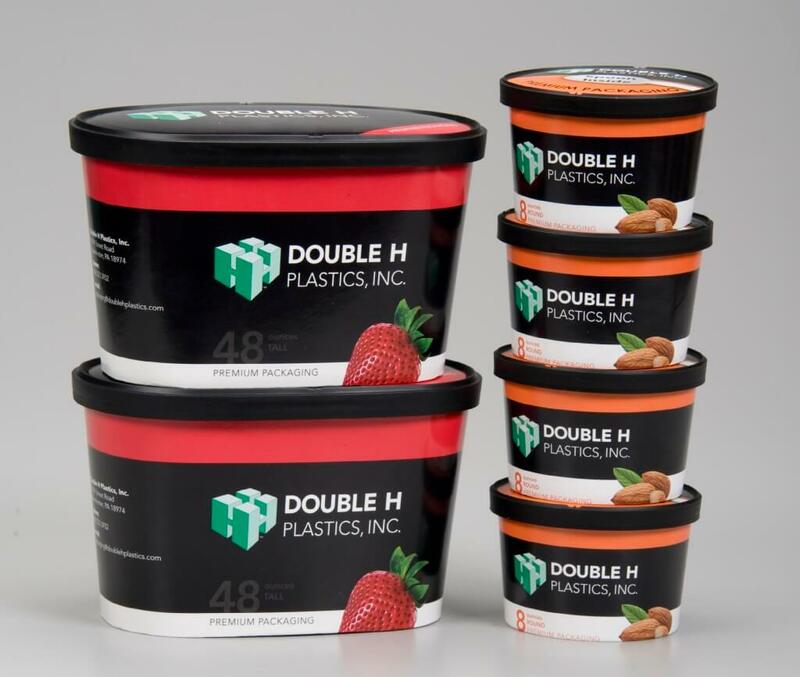 From technical decisions to marketing choices, Double H can produce lids with utensils, vented lids for microwavable items, lids with snap fits, and much more. 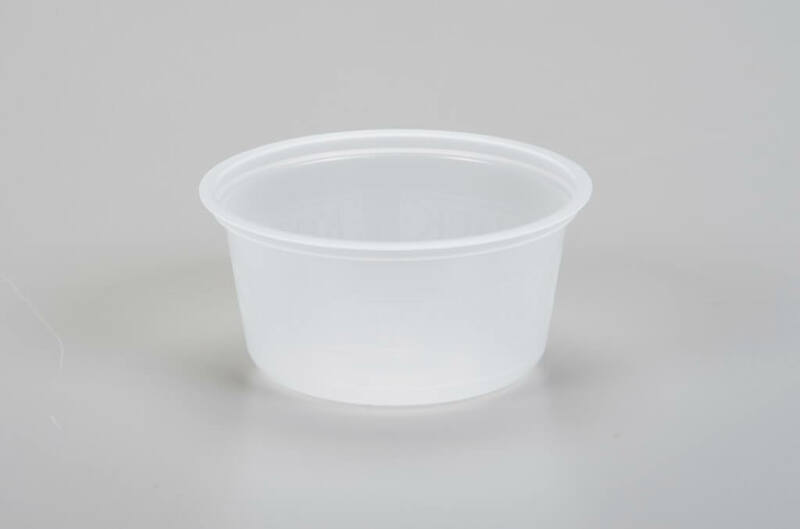 Our thin wall injection molded, all plastic packaging is available in standard sizes as well as for new custom projects. IML packaging, or in-mold labeling, is a unique process that allows your end product to achieve a graphic quality with a "no label" look. IML creates crisp illustrations and a structural value, not attainable with other types of packaging. 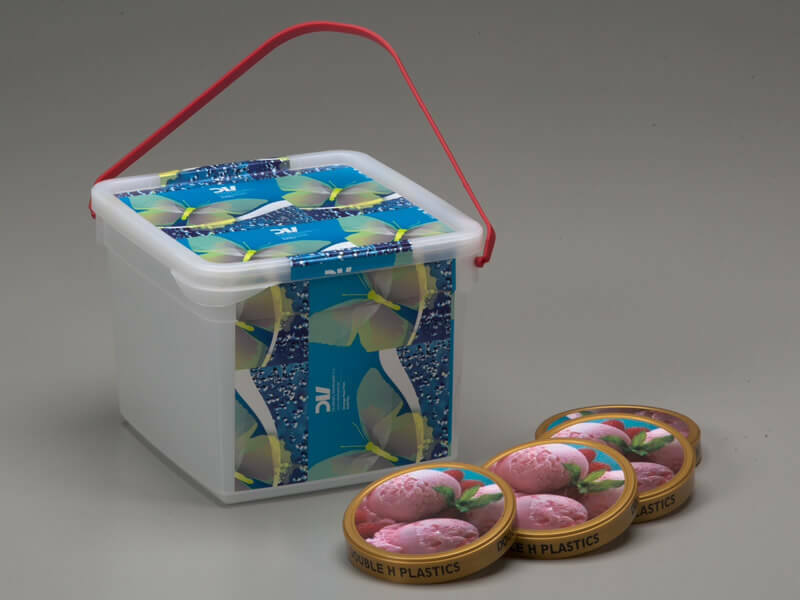 Double H can provide IML packaging to any size or shape container and lid, including flat and wrap-around products.